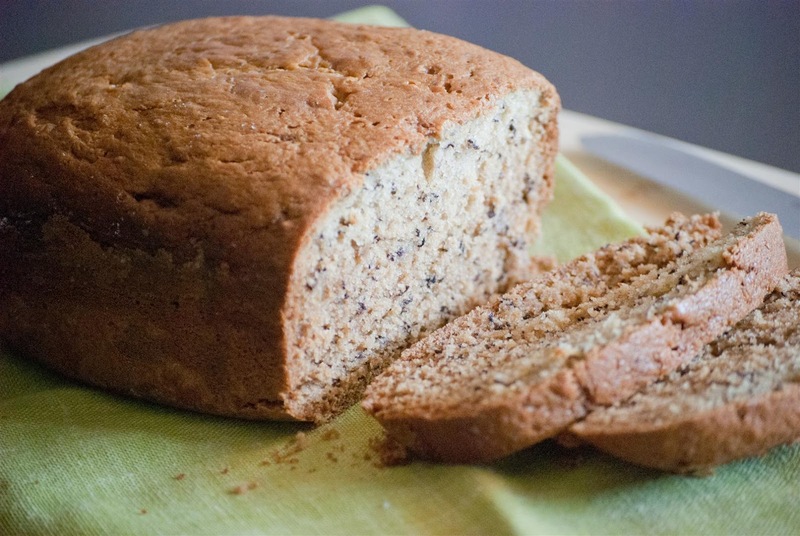 One of my favorite breads to bake is banana bread. My kids devour it. I love it right out of the oven. I know you are supposed to wait until the loaf is cooled before cutting into it, but I simply can't resist the crispy crust and warm moist center so I generally dive right in only minutes after I take it out of the oven. This is my bread maker recipe. However, if you do not have a bread maker, preheat oven to 350 degrees F. Mix all the ingredients above until well combined. Spray your bread pan with a non-stick pan or line with parchment paper. Bake in the oven for approximately 1 hour. Check to make sure toothpick inserted is dry. Cool on rack completely for best slicing results. Just as much as I love eating it, I love to give it as well. 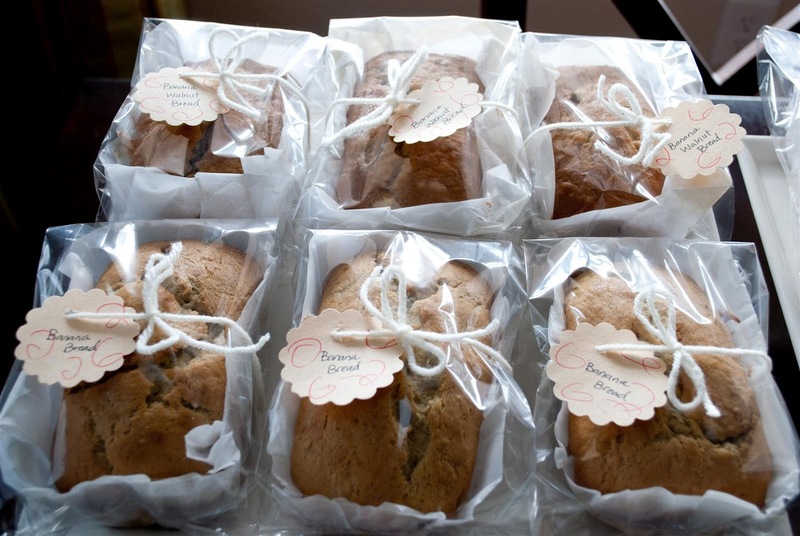 I lined the bread pan with parchment paper and covered with a cellophane bag.